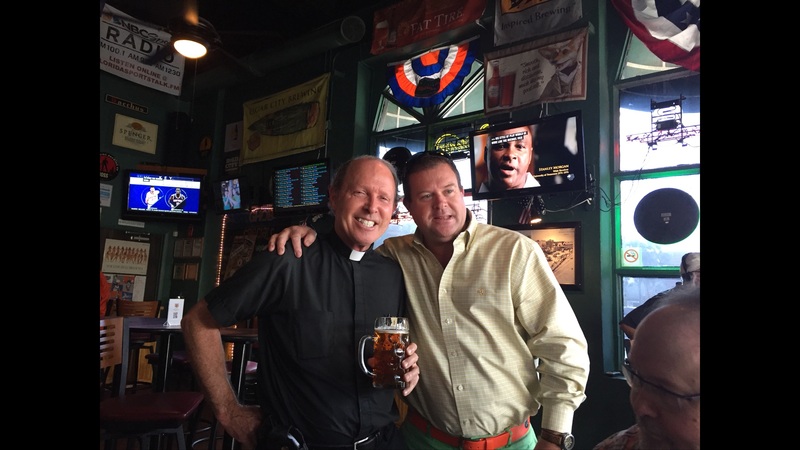 Last weekend the Maestro called me on my cell phone and told me about a new bar that had opened very near to his home, called the Hop Top Lounge. I think he was mainly excited because he finally had a neighborhood bar, but he did praise the craft beer selection they had available. He knew that several of our fellow Beer Bacchanalians, including himself, had plans for traveling that weekend so he suggested that we meet there for Happy Hour on this Friday (which was yesterday). And sure enough, the following Thursday he sent out a text message to everyone suggesting just that. I said I would be there. We didn’t hear from anyone else. 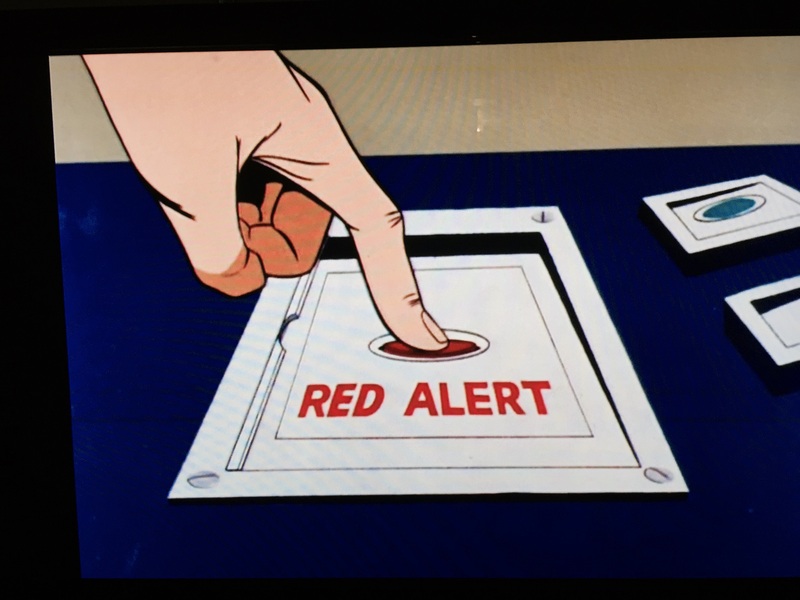 When Friday afternoon rolled around, the Maestro sent out another text reminding everyone of our destination. Again I was the only who replied. Now one of things I thought I remembered Maestro saying was that there was plenty of parking. But that wasn’t the case when I showed up. In fact, I got the last available spot when I arrived. 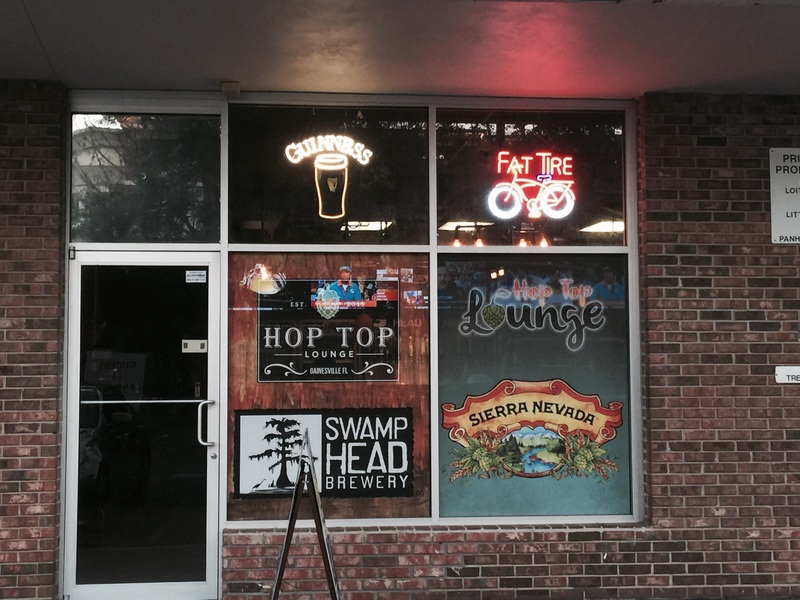 The Hop Top is located in a little strip plaza on the corner of SW 16th Ave. & SW 13th Str., behind the CVS. This plaza also houses Sai Kwik Stop, Gator Liquor, La Familia Cuban Sandwich Shop and a laundromat. 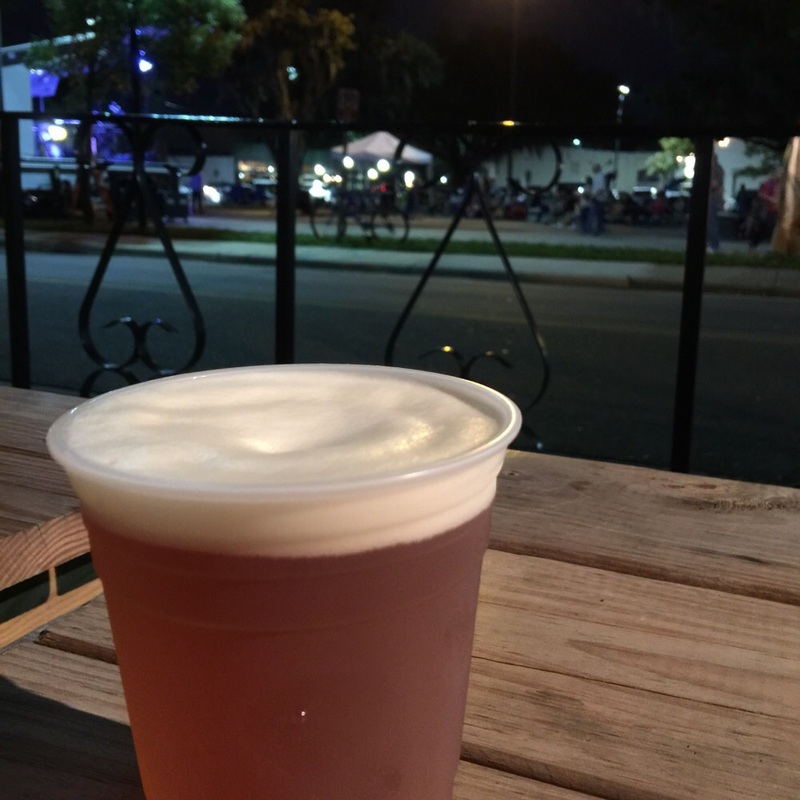 If you are unfamiliar with Gainesville, then you may not realize that this area is packed with student apartment and house rentals, as well as several restaurants and motels. And it is only a stone’s throw from UF Shand’s Hospital, Shand’s Trauma Center, the VA Hospital, etc. So as for location this is a really good spot. Rowdy replied to the group text that she was on her way. I let her know that parking was a premium. I entered the lounge and saw the Maestro at the bar and greeted him. The place had at least a dozen or more other patrons, all of whom were at the bar. There was additional seating at tables along the outer walls. It was not a large place, but it was decent in size for a neighborhood bar. Along the center of the back of the bar were at least 20 different taps, flanked on each side with coolers of bottled beverages. I looked over the tap menu (see picture below) and saw that the Maestro wasn’t lying about the beer selection, most of the taps had craft beers that I had sampled before and were pretty good selections. Being in a college town they will of course have some cheaper selections for the uncivilized beer palate (Bud and Miller) but they also had a lot of Florida brews and about a half dozen from local breweries Swamp Head and First Magnitude. As I looked over the list I spotted a beer I hadn’t had before and ordered the Sixpoint Brewing Sensi (2015), which is a Harvest Ale, wet hopped with Cascade and Amarillo Hops. It had a very nice hoppy flavor to it. 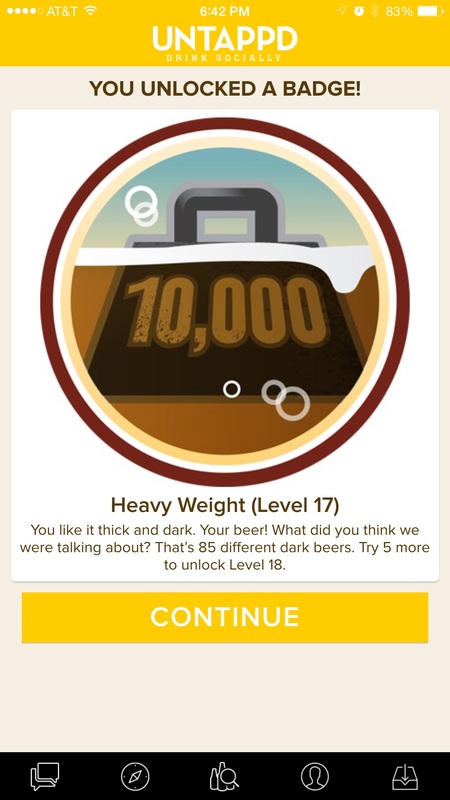 Hop lovers will rate it higher than me, but I still gave it a good rating on Untappd. The Maestro and I caught up a bit and he pointed out some of the features of the bar to me, including a food warmer on the one end featuring foods from La Familia Cuban Sandwich Shop from the same plaza. Any time good food like that is available in a bar that is a big plus. 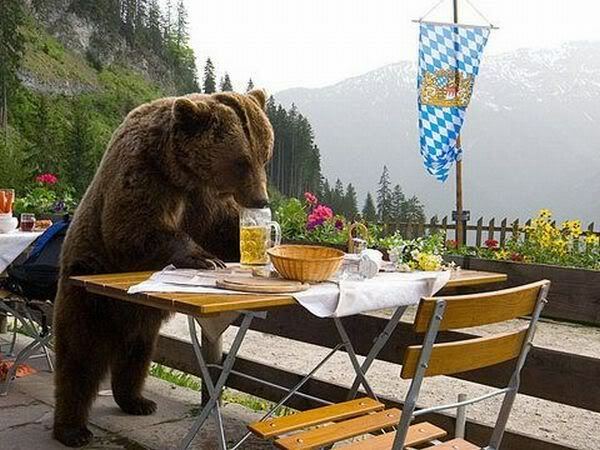 I suggested we move from the bar to a table for when Rowdy showed up. Sitting at a bar for two people is fine, but when it’s three or more and you’re Supping Suds & Philosophying (Conversing with beer for the uninitiated) then a table works out much better. While we were waiting for Rowdy to show, the owner and his son both made an appearance and came over and greeted us. The Maestro was gushing with gratitude at the fact that a beer establishment was now available so close to home. We also asked why there was so little parking available and the answer was obvious once the owner pointed it out. The Gator Bowl is this weekend and they had many customers stopping on the way to Jacksonville at both the convenience store and the liquor store in the same plaza. We gave them our thoughts about the bar, wished them well in their venture and they walked on to talk to other customers. A short while later Rowdy arrived, and we began catching up with each and Philosophying in earnest. While we were doing so the Deck-orator texted that she couldn’t make as she was doing something with one of her daughters. The Chemist was working, the Cooler was off on his hunting weekend, and the Doctor had a long day and was not up to joining others. 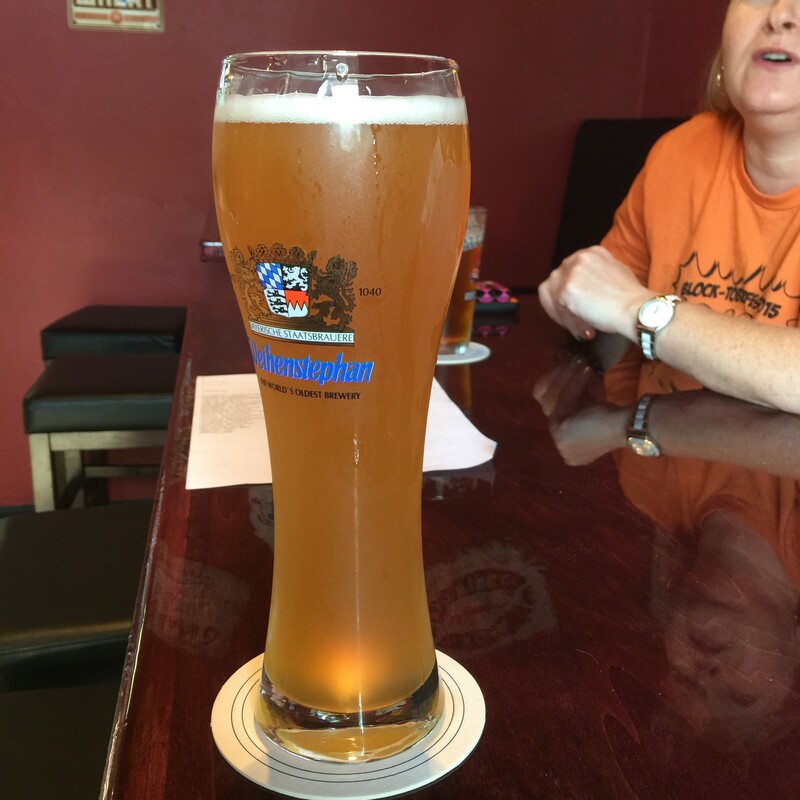 Shortly after Rowdy ordered her first, I ordered my second, one of my fave’s , the Weihenstephaner Hefeweissbier. I wanted something not quite as Hoppy as the last beer and this fit the bill. The Maestro also ordered another and we began some more Philosophying. After a while Rowdy ordered a second and I was ready for my third and final for the night, so I ordered the Cigar City Vanilla Maduro. I think this brown ale is one of the best out there and one of Cigar City’s best beers, which says a lot as they have a lot of good beers. The Philosophying continued for a while. The Maestro finished his second offering first and we continued Philosophying while Rowdy and I worked on our suds. Eventually we finished as well and we all agreed without even saying the name on where we wanted to go for dinner. 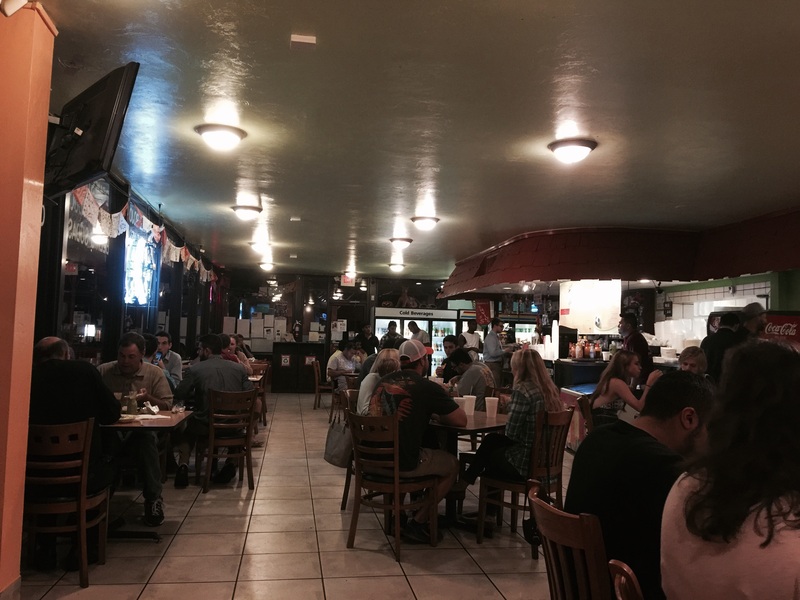 One of the advantages of that bar location is its proximity to one of our favorite Mexican restaurants in Gainesville, La Tienda. When I say Mexican, I should say Authentic Mexican, as they serve their food the same way you would get it if you went south of the border. There are other Mexican restaurants in town that serve really good food but their style is more of a Tex Mex or Southern California Mexcian which are really Americanized versions of Mexican food. Rowdy lived in Mexico for a while and always comments how La Tienda serves their food just like they do in Mexico. At any rate it’s really good food. When we arrived we couldn’t find a parking spot for one car much less for three separate cars so we ended up driving to the maestro’s place and walking back. When we got there we were told there was about a 45 minute wait for food to come out. We discussed that for a couple of moments but ended up staying and ordering food. Rowdy ordered a serving of chips, salsa and queso which was a godsend because I don’t think I would have lasted 45 minutes without it. And the 45 minute estimate was not a wild guess, as it was almost to the minute when our main dishes came out. None of us had ever seen the restaurant that busy before and we had all been there often and at various times. This could have been related to the Gator Bowl as well I guess or it could just be that the restaurant has gotten so popular that it’s just doing that much business. My eyes must have been bigger than my appetite because I ordered a beef burrito and two chicken soft tacos. The tacos were perfectly seasoned with cilantro and lime and I only added a little green salsa to them. But after sharing the chips and salsa with Rowdy and the Maestro I couldn’t eat more than the two tacos. Which was ok with me as that meant the burrito is what I will be eating for lunch today. If you are in that part of town and want good craft beer, drop in to the Hop Top Lounge, they have good beer at good prices. 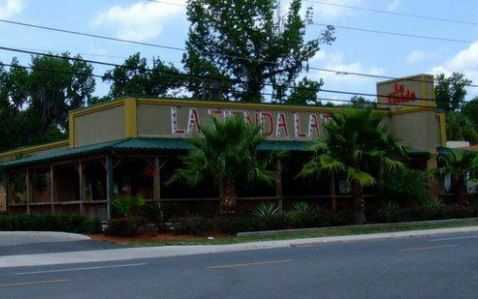 And for some of the best Authentic Mexican cuisine anywhere make sure to go to La Tienda. With a nod to the structure of the ancient text “The Art of War” and its author, the strategist Sun Tzu, we continue with the drinking aspect of the Art of Beer. 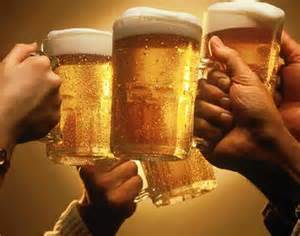 Beer has been consumed for thousands of years and has been generally considered a drink of the common folk. Because drinking water quality has always been questionable from one place to another until the rise of public water systems in the last two centuries, drinking local beers has always been preferable for weary travelers. 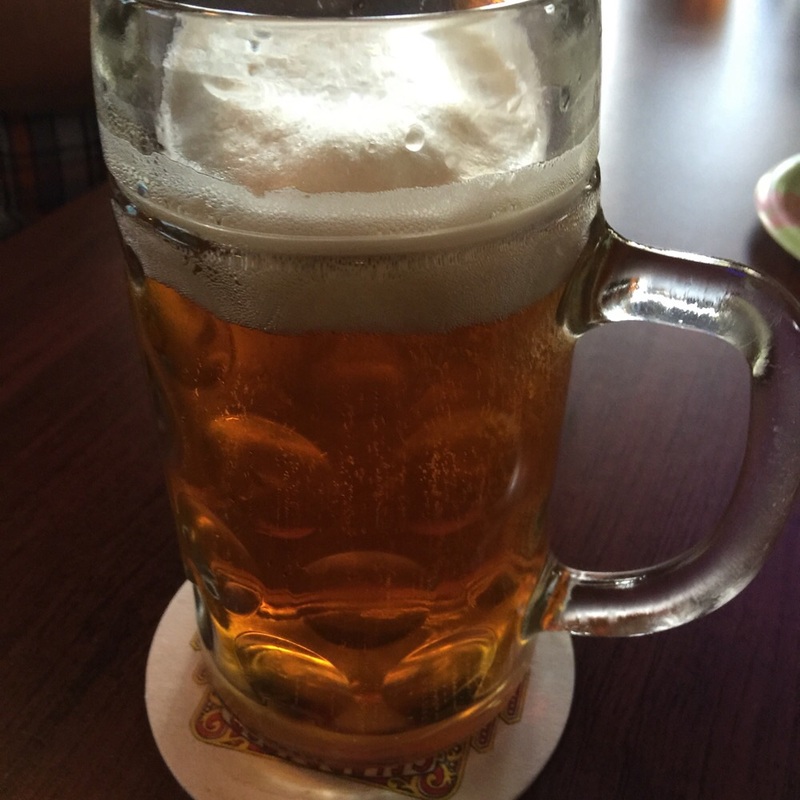 Since water is boiled to make beer, the water quality is usually much better in the beer than in the water itself. And the adding of ingredients, like hops, can help mask any unpleasant tastes the water may bring. 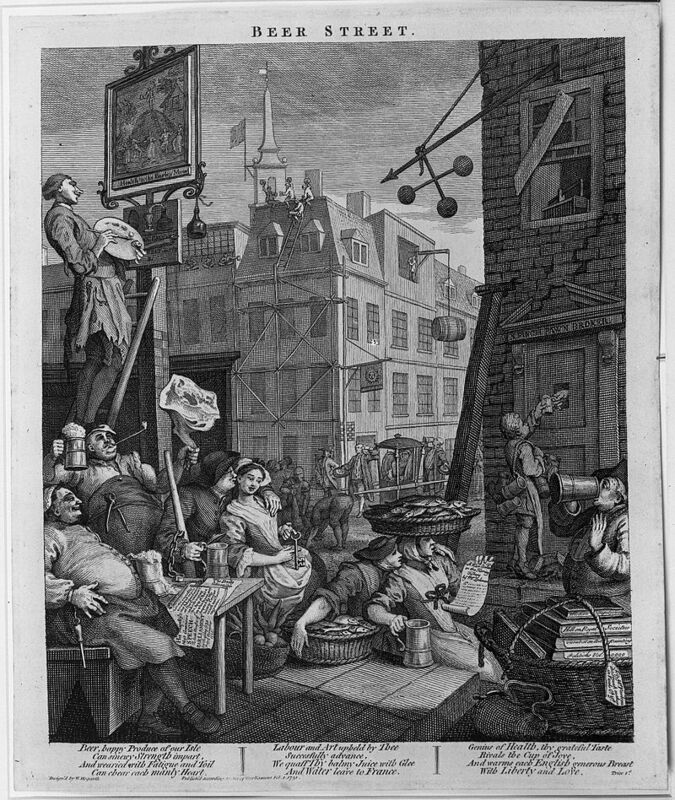 It was not uncommon for beers to be served with most foods at inns and taverns along travel ways. These could have been served in tankards, mugs, goblets or even flagons. During the industrial revolution it was not uncommon for companies to serve beer in their lunchrooms instead of water for their workers to wash their lunches down with. The cooler temperatures of a beer would have been preferred over a wine for folks working hot factories not to mention that beer being more inexpensive to produce would be able to be stretched over a larger work force much easier. Beer can be enjoyed in private but is usually enjoyed more in the company of others. The others can be family and friends, or even perfect strangers. 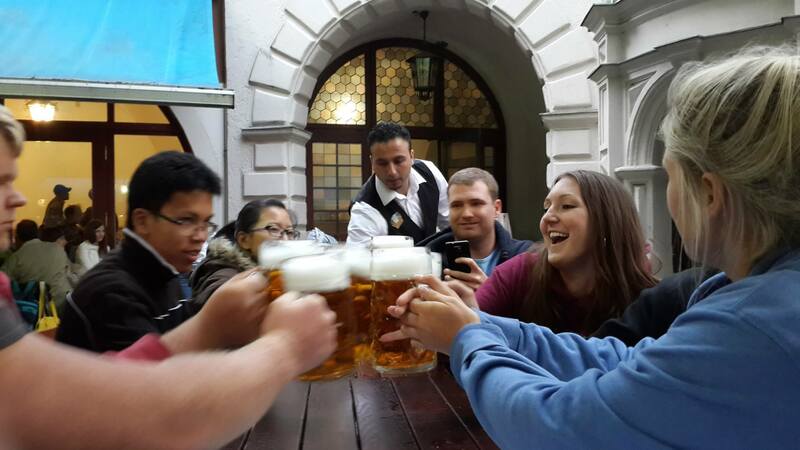 In Germany, it is common in Bavaria for perfect strangers to sit at large tables in Gasthauses and enjoy food and beer with each other. Public Drinking Houses (or Pubs) are common in Britain, Ireland, New Zealand, Australia, Canada and Denmark. 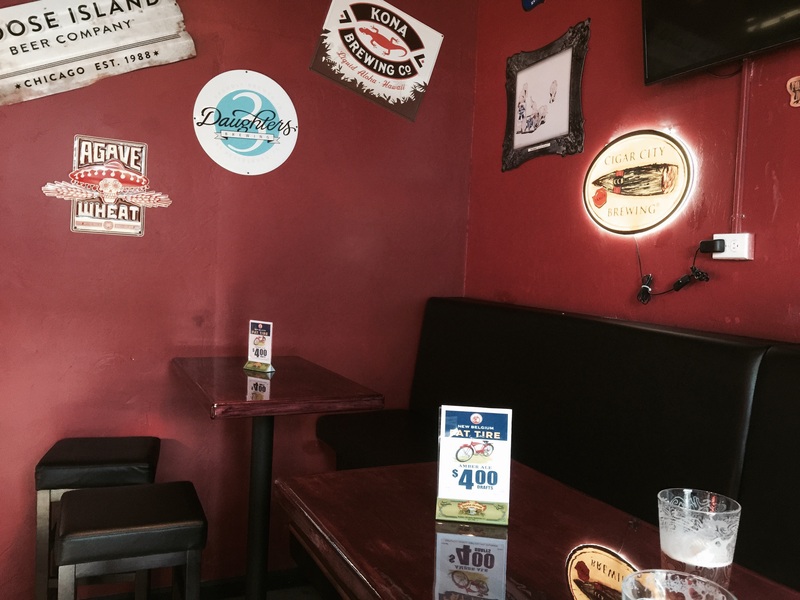 These businesses are often community focal points and often feature their own brewings of beer. 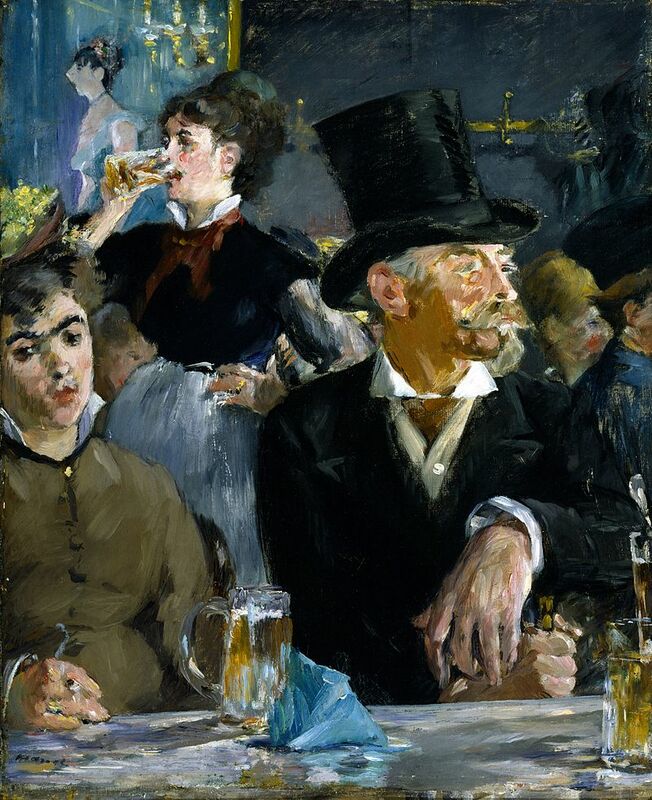 Bars, Taverns, Cafes, Saloons are all variations of different types of drinking establishments. Some will be strictly beverages, some will serve snacks and some will have full menus for food available. 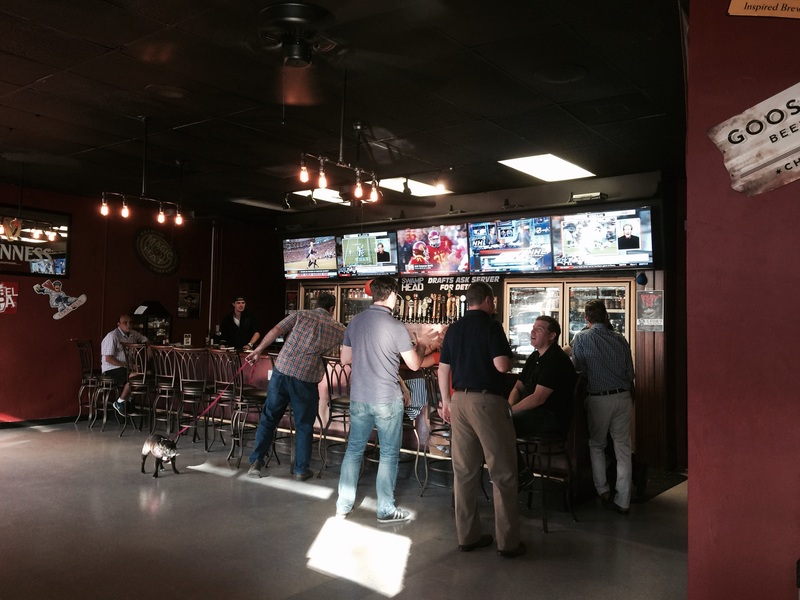 Craft Beer Tap Rooms in America are a recent phenomenon which consists of a large and ever changing variety of draft and bottled beers from Craft Breweries. Tap Rooms are also being featured at Craft Breweries featuring the brewer’s own creations as well as guest taps for other craft breweries. 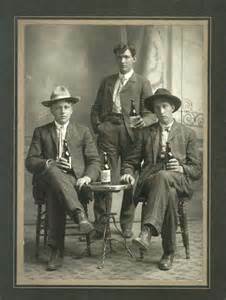 Since it is considered a common (or even a lowly beverage by some) there has been no formal declaration of beer drinking etiquette. Yet, an informal etiquette has arisen all of its own volition. Toasting is one of the most common denominators among the various cultures today. Though the minor details will vary the general practice is still carried on from ancient times. 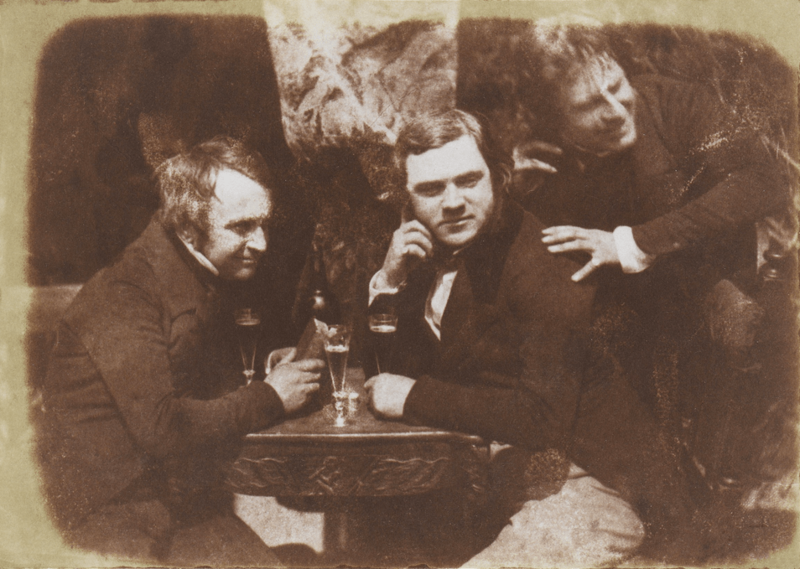 There are different theories and folk-tales about where toasting originated from. The most likely source is that it was derived from ancient times when a goblet of a prepared drink was held up ceremoniously as an offering to the Gods. It then morphed into a salute or honor for a visitor or guest. The raising of the glass is usually accompanied by a word or phrase meaning “to life” or “to your good health”. Toasting is also used to honor those who are no longer with us and honor their memory. If a friend or stranger offers to buy you a beverage it is considered gracious to accept, then later return the favor. 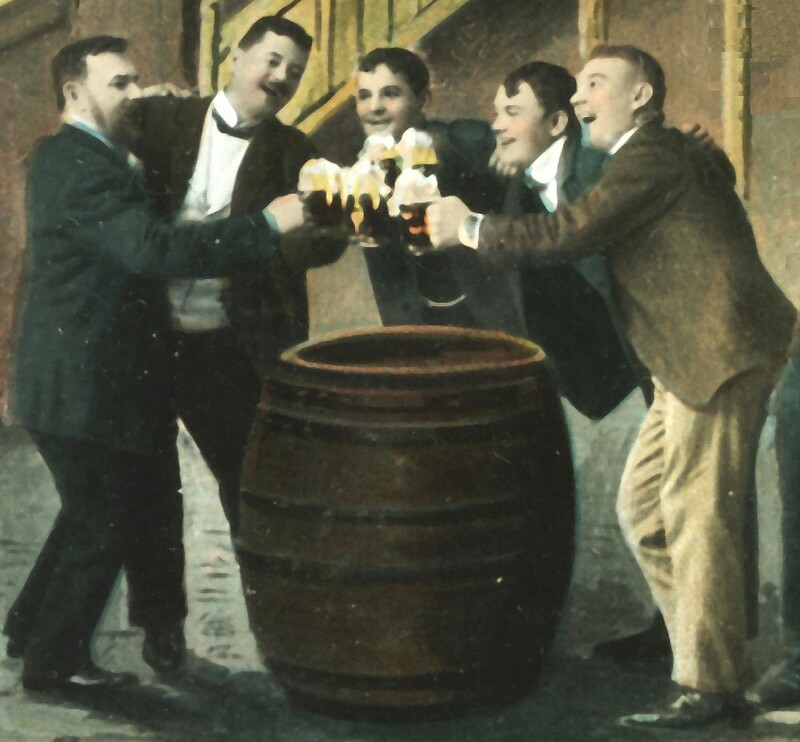 Sipping, supping, gulping, guzzling and throwing-it-back are all terms that can be associated with drinking beer. They are various forms of consuming the beverage. Gulping, guzzling and throwing-it-back are all related to drinking large quantities in a short time frame. This is done mostly by younger adults who are of college age or serving in the military. This is normally the result of playing beer drinking games, losing bets, accepting dares or simply just trying to prove “you’re a real man”. It is best done with cheaper mass produced beers where the taste matches the price. There is no sense is paying for good craft beer to play these games as some of it will be wasted by spilling, some by people getting too drunk to finish, and by others getting so drunk they can no longer contain the beer in their bodies. This is the most infantile form of beer drinking. Sipping and supping are basically a spelling variation of the same method. This is meant for slow drinking, enjoying the flavors and aromas of the beer. More mature beer drinkers know that good beer doesn’t need to be rushed and like many things in life is better savored slowly. 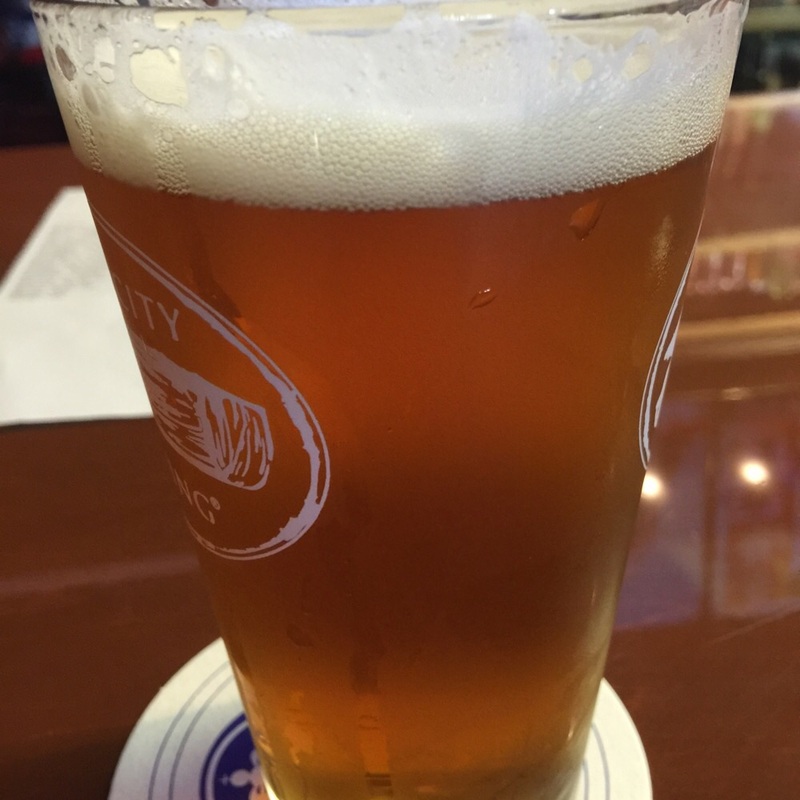 Drinking Craft Beer is very similar to drinking wine in more than a few aspects. In fact, many craft Beer aficionados also are wine drinkers. Begin by looking at the glass and studying the color of the brew. Is it the style you ordered? Does the color look right? 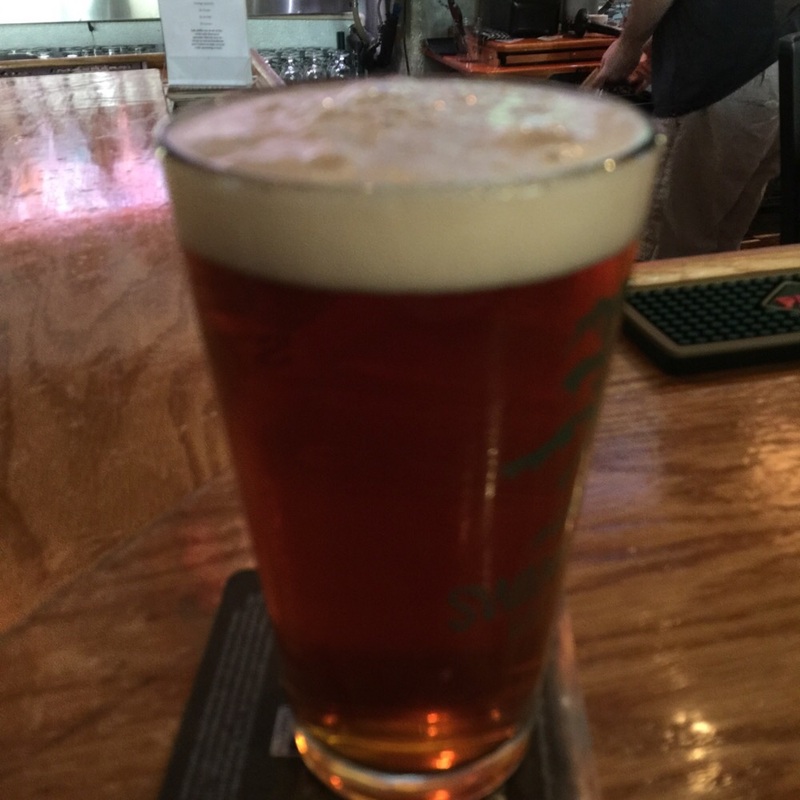 If you ordered a Pale Ale and the beer in front of you is Amber in color then check with bartender to make sure you got the correct glass. Unless it is a special variant or style then the color should be pretty much the same from one brewer to the next within the same style. Next, look at the head. 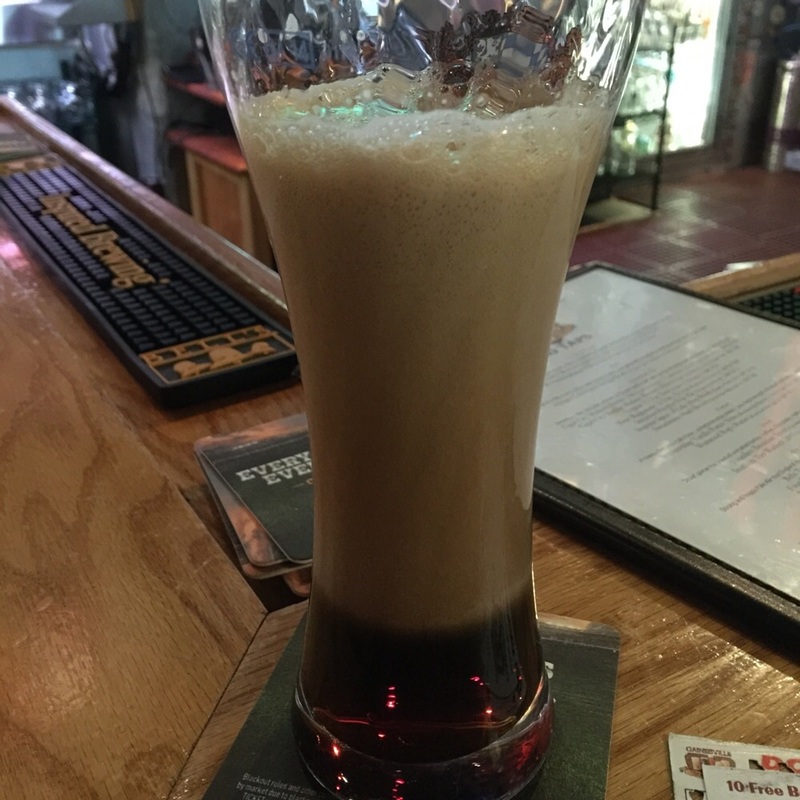 There should always be a head of foam at the top of the glass. It will settle as the beer sits but if there isn’t one when you first get your glass then either the beer is flat or the glass has been sitting way too long. Also look at the effervescent bubbles of the beer. If the beer is a nitrogen-infused beer then you will see a lot of activity for quite a while and the head of foam will be larger. But if it is not nitrogen infused and you are seeing a lot of activity then chances are that the brewer added too much sugar in the bottling process. This will probably mean the beer will taste sweeter than it should. But it may still taste good enough to drink. Now you should bring the glass up to your nose to smell the aromas being released by the effervescence of the beer. Depending on the style and ingredients you should be able to pick notes of citrus or other fruits, pine, chocolate, coffee, nuts, wheat or other flavors. Smelling the aromas of the beer helps your palate to prepare for the flavor. The same is true of drinking wine or eating some foods. Odors can be very important in the tasty process. This is why when you have a stuffy nose that some foods just don’t taste right. Next, just after you have taken a good smell of the odors, move the glass to your lips, open them and slowly pour the beer into your mouth or sip it, both are acceptable. Pouring a little into your mouth for a taste lets the beer slowly cover all the taste buds of your tongue so that all of your flavor centers are equally activated. Sipping the beer also bring in a little bit of air with the liquid usually odors of the beer that are sitting on the surface. This is also activating your taste buds. In the end you will still want to try to distribute all of the liquid throughout your mouth so that all of the tastes buds are activated. Once you have done so then slowly swallow the beer. After you have swallowed then you will want to take in some air through your mouth. This will allow the air too react with the liquid still on your taste buds to give you the aftertaste. This can result in a smooth or creamy texture to a bitter sharp sting or anywhere in between. If you are planning on sampling different beers throughout the evening then you may want to start with lighter tasting beers and work your way toward the heavier ones. Don’t mistake the color of the beer for the heaviness of it. Some Stouts (which are usually the darkest of beers) can be very light and have a creamy texture to them while all pale ales are definitely lighter in color than a stout but a few may have so much hop flavor to them that the bitterness can change the flavors of any beers sampled after them. Everyone has different types of taste buds and while they can be trained over time, even people of equal tasting skills can taste different notes and flavors in the same beer. In the end, only you can decide if you like the flavor or not. If someone tells you that this is one of the most excellent examples of this style of beer and you find that you don’t like it, there is nothing wrong with that. Not everyone will like the same style of beer. A noted wine sommelier and wine tasting teacher, George Sternfels, often told the classes he would teach, “If you like the wine, drink the wine.” Meaning that it doesn’t matter what others think of the liquid you’re imbibing. If you enjoy it then what others may think about it doesn’t matter. Enjoy it. 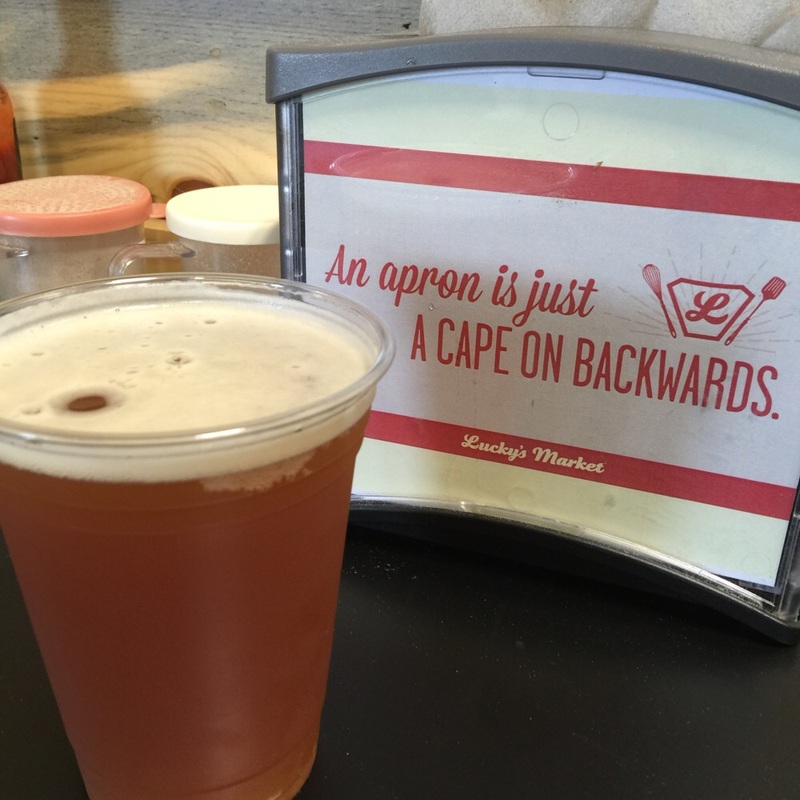 The same is true of beer. However, enjoying too much is a burden that all of have had to bear at one time or another. When we are young the goal when enjoying an evening almost seems to be to drink until we are too sick to drink anymore. And in truth, that is probably the learning process we all go through to find out our own limitations. Not the best way to go about it, perhaps, but a definite tried and true method. The importance is in knowing when enough is enough. And what is expected of you in the near future. Are you expected to get up early or go to work the next day? 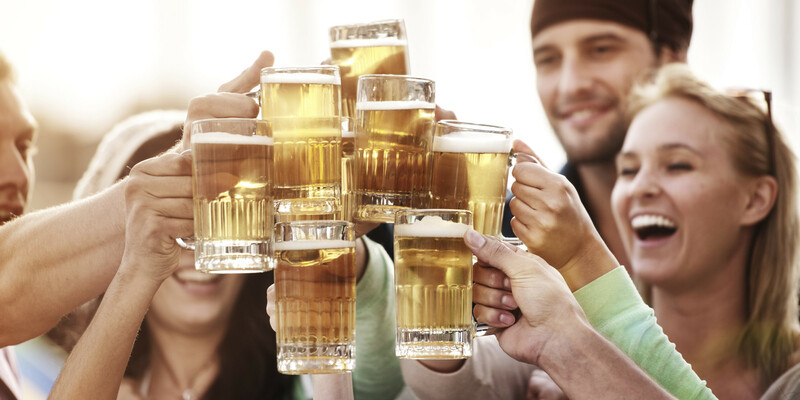 Do you have lower alcohol tolerances than others? Are you a designated driver? Are you bar hopping or staying in one spot? Is it a party where you have others you can help you get home or where you can stay as long as you need? Are you ill? All of these can factor into your evening. Whatever your decision, take care to make sure you make good decisions for the evening or that you are with people who can help you do that. Enjoy drinking the beer but don’t set yourself up for a bad experience. 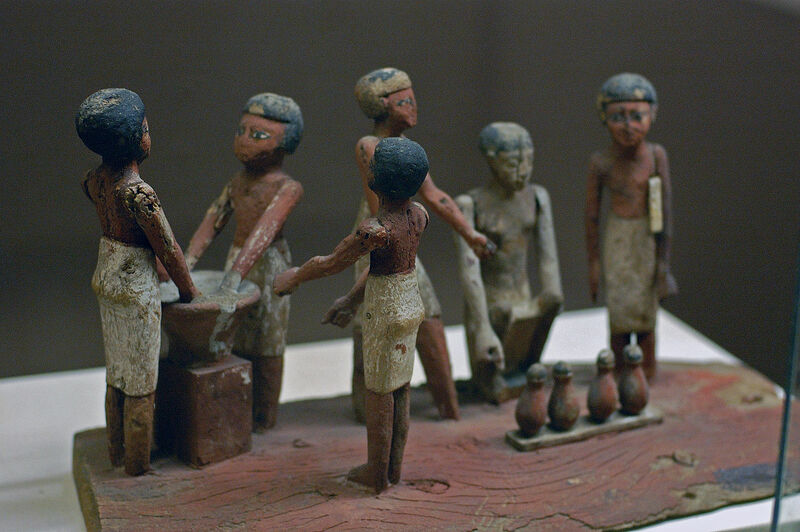 The Art of Beer can be traced back thousands of years to the ancient Egyptians (or the Sumerians, or the Babylonians, or all of them). It makes it first appearance not long after mankind began to learn to farm and grow grains. 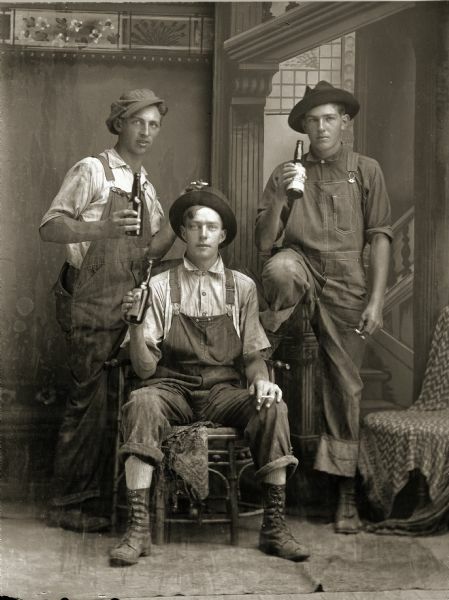 Beer has been used to provide sustenance to laborers and provide a means of hydration when clean water supplies were low or non-existent. 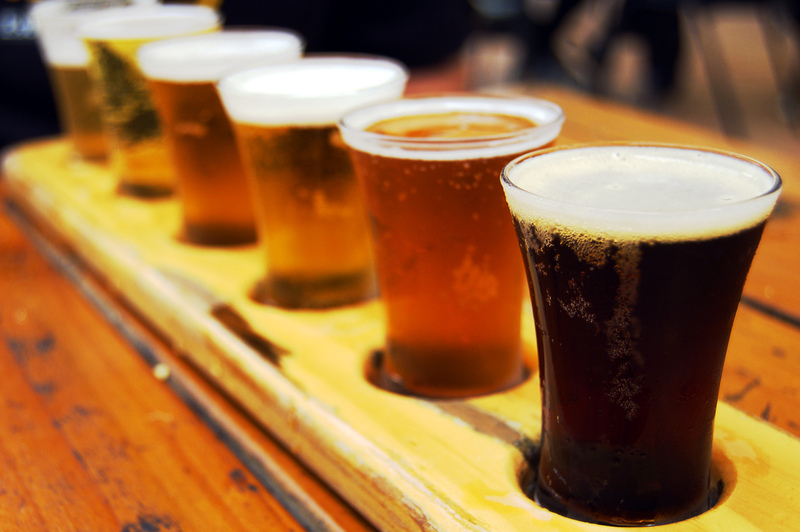 Grains – Barley, Wheat, Rice and various breads and other starchy foods have been used for making beer over time. The starches are converted to sugars, which will later be converted to alcohol. 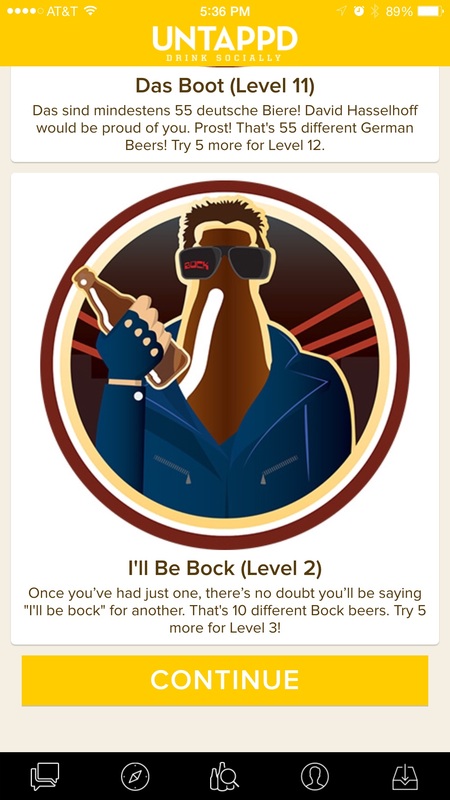 Flavors – Various herbs, spices and sugars have been added to beers over time. These, like all of the ingredients affect the flavor of the beer as well as help to preserve that flavor. Yeast – The yeast is what converts the sugars in the wort to alcohol. The yeast also determines what type of beer it will become. Water – On average 95% of beer is water. It is the main source of the beer’s flavor and a large quantity is used during the brewing process. Good quality water is needed to make good quality beer. The ancients believed the universe to be made up of four elements: Earth, Wind, Fire and Water. While we know the universe is constructed of many more elements than those, those same four elements are all necessary to make beer. Earth is represented by the roasted grains, the flavors and the yeast. All of these are cultivated in the Earth itself and impart the characteristics of the regions they come from. Water is obviously represented by water. It is used in the boiling of the grains to release the sugars, in the sparging to gather even more sugars into the wort, and in the brewing when the hops are added. 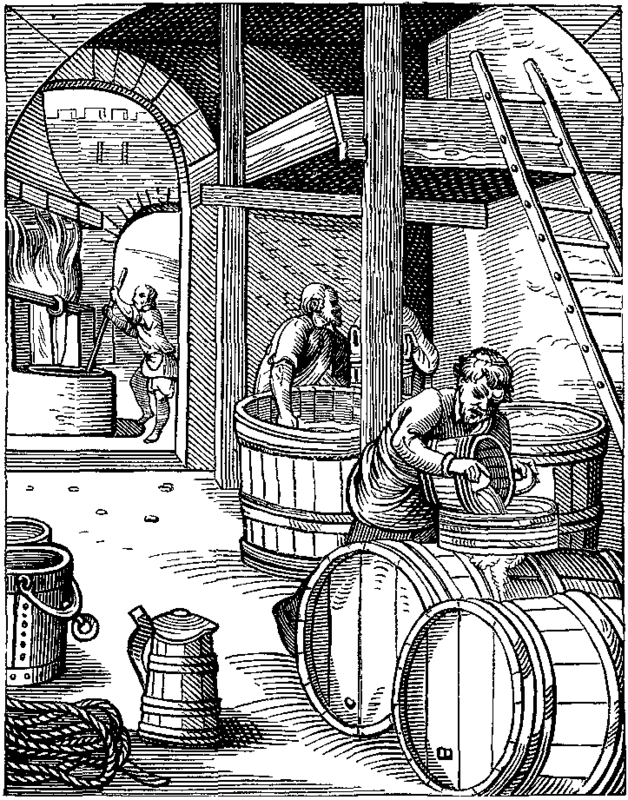 Fire is represented by the fermentation process. Fire has been used throughout history by metal workers in forging steel, by chemists in creating new compounds and by cooks in creating delicious foods. If there is a chemical reaction present it is usually accompanied by fire. In the case of fermentation that fire is represented by the roiling action that the yeast creates when it is mixed into the wort. Wind, the last of the ancient four elements is represented by two important aspects in brewing; the cooling process where the brewed beer is cooled down prior to the yeast being added for fermentation; and patience which is needed to allow time for both the fermentation process to complete and to wait for the bottling process to mature. All of these elements are needed to create beer. The combinations can create various styles but in reality these styles can be broken down into two basic types of beers. Beer is either a lager or an ale. The difference is mainly in the type of yeast used for fermentation. From those two basic types of beers, the various grains and flavors added as well as the brewing style will determine what style of beer is created. We will discuss the various types and styles of beers later. In Pt 2 we will discuss drinking beer. Until then… enjoy. 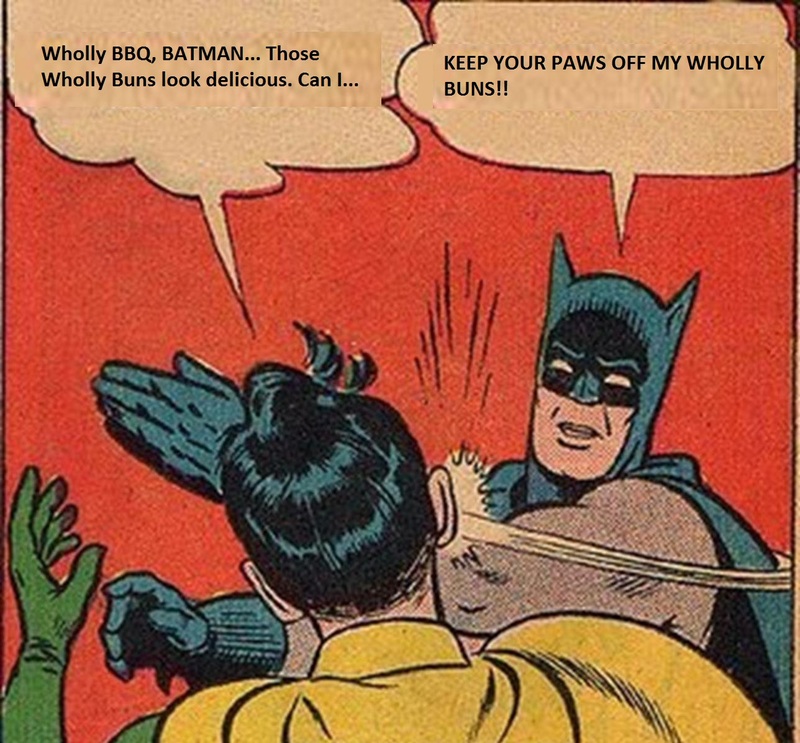 Wholly BBQ Batman!! – Where do we go after Gainesville House of Beer??!! After work ended Friday, I sent out a text message to our group of Beer Bacchanalians asking for suggestions for Happy Hour. After a bit the Maestro replied “Downtown – Imposters performing for Free Fridays”. That sounded like a good idea to me so I suggested 5 PM and we agreed. If you have not heard of the Imposters they are a local Beatles tribute band and they also play music from other artists of that era (Jimi Hendrix, etc.). They have a local following in Gainesville and you can be pretty sure when they play there will be a large crowd. Especially when they are at the Free Music Fridays concerts sponsored by the city. 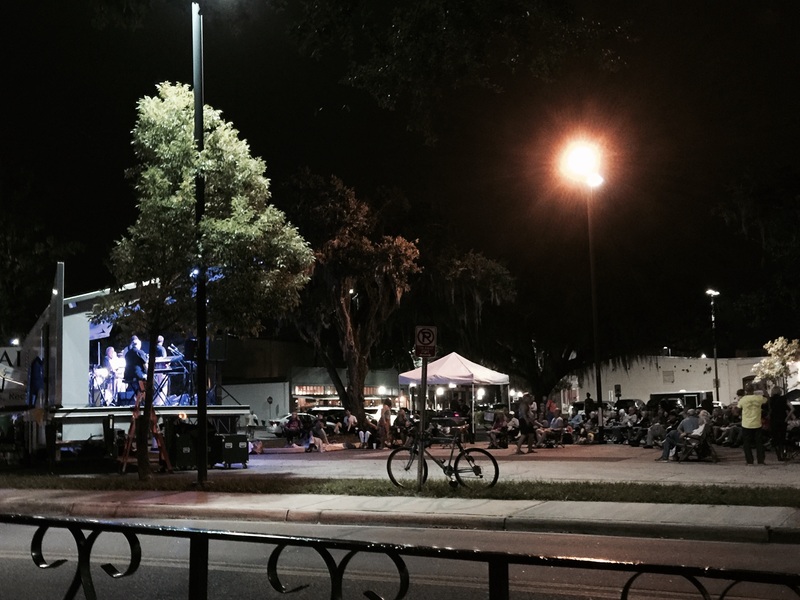 Usually these concerts are held at the Bo Diddley Plaza but since that is under renovation right now they are using lot #10 in downtown Gainesville which is currently empty. We agreed to start at House of Beer around 5-ish and would decide what to do from there. I arrived first, sat at the bar and greeted Alex, the manager, then looked over the menu and decided on a pale ale I hadn’t seen before. Infinite Ale Works Aperion is a very nice American IPA with notes of citrus in the aroma and flavor and a really smooth finish. It was so good I recommended to the Maestro when he arrived shortly afterward. So far, it was just the Maestro and I. Rowdy and the Cooler were doing something derby related. The Doctor was home with a nasty cold. And we hadn’t heard from anyone else yet. At any rate we began catching up with the doings from the past week. After a bit I was ready for another an ordered a Celebrator, a Doppelbock from Brauerei Aying. I loved the lager I had from them last week and wanted to try another from them. Unfortunately, I couldn’t get a full beer as that was the end of the keg. At least it was free, as is the custom when the keg blows out on you. I let what did get into the glass settle for a bit and while there wasn’t much there what was there was a really good doppelbock. The Maestro and I continued Philosophying some more and soon heard from the Deck-orator asking if we were still at HOB. I said to “Cmon” and in the interim of her journey I was ready for another so I ordered a Paletas Tamarindo from 5 Rabbit Cerveceria. This was a good American Pale Wheat Ale with strong citrus aftertaste. I thought it hit the spot for me. The Maestro and I continued Philosophying and it wasn’t too long before the Deck-orator showed. We moved from the bar to a table so it would be easier to converse. She told us that the Chemist was still working so it looked like it was just us three. The Deck-orator ordered herself a pint and soon we all began philosophying together. 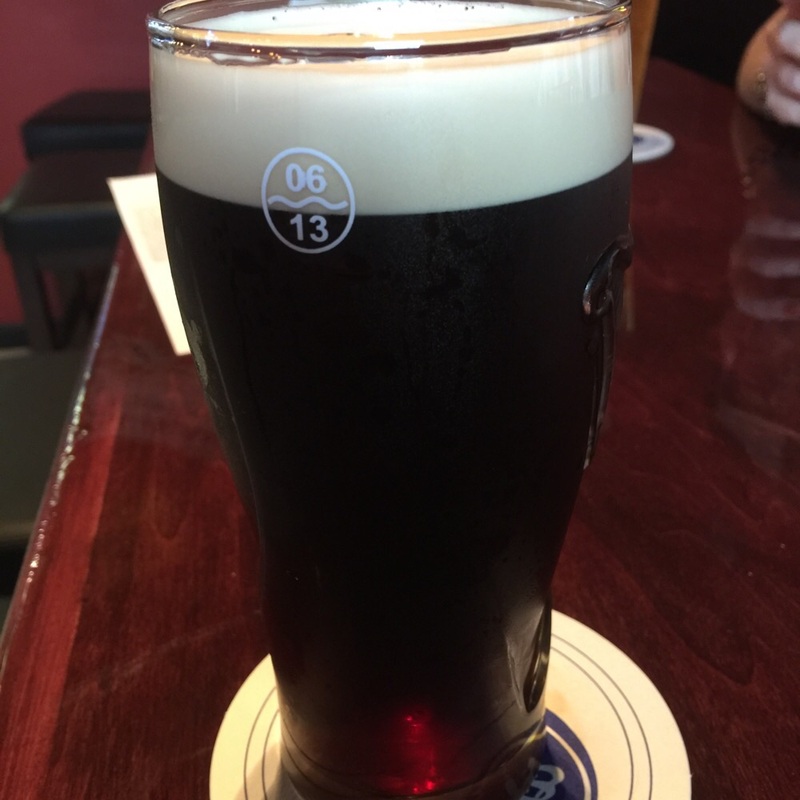 After a bit I felt like one more pint so I ordered a Wynwood Brewing’s Pop’s Porter. This had a nice coffee flavor and a smooth finish, a nice way to end a session of beer supping. After a bit we all finished our pints and I felt like getting a bite to eat. I think Deck-orator suggested Wholly BBQ because Maestro had mentioned it to us before. So we all three agreed that it sounded like a good idea and settled our tabs. We walked out the door and around the corner down South 1st Street, turned right onto West 1st Avenue, and at the corner of South 2nd Street you could see Wholly BBQ across from lot #10, next to Whiskey House. It’s a small rectangular building with a covered patio and outdoor seating running along 2nd Street. The order window is on the north end of the building, the pick-up window around the corner facing 2nd Street under the patio, and a little further down along that side is small bar where draft beers are poured. Between the pation and the street is a beer garden with tables for seating. At the southern end of the patio is a large smoker (see picture below) that the owner told me he constructed out of an old water tank. I let Maestro and Deck-orator order first to give me a bit longer to look over longer the menu, which had quite a few choices but so many that you would get lost. When I got to the window I asked what the Wholly Buns were, as there were more than a few signs mentioning. The woman at the window explained they were yeast rolls stuffed with your choice of meat and served with a dipping sauce. That sounded good to me so I ordered those and an order of Loaded Fries. And a First Magnitude 72 for a draft. The three of us walked around the corner and got our pints at the bar, then made our way to a table near the street. Just across the street from us was lot #10, where the Free Music Fridays concert would be held. We could see the stage from the side and could hear the musicians starting to warm up. Our food orders came out in their respective orders and they would call our names out from the pick-up window. I went and picked mine up and good smell the aromas rising up. The Loaded Fries were covered in shredded pork , cheese and hot sauce. The Wholly Buns were aptly named as they were light, buttery and stuffed also with pork. I asked for the hot sauce with them as well. I have to say that these dished were exactly what I needed. Hey were great tasting and delicious and I would highly recommend them to anyone. While we ate our food the Imposters began playing on stage. The air was nice and temperate out that night. With the food, the beer and music playing in the background it was a perfect way to end the work week and start the weekend. I highly recommend it to anyone. 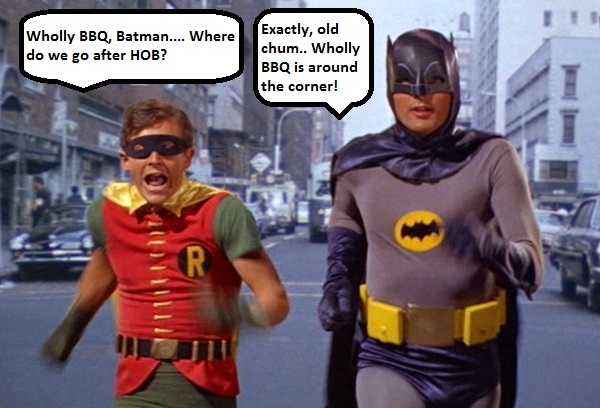 Posted on October 5, 2015 Categories Happy Hour, Tap roomsLeave a comment on Wholly BBQ Batman!! – Where do we go after Gainesville House of Beer??!! The last day of summer and the first day of fall have recently passed and we are now in the beginning of my favorite season of the year… Fall. The scorching heat of summer is gone and the cool breezes of the fall are here. Football season, both college and pro, are in full swing. 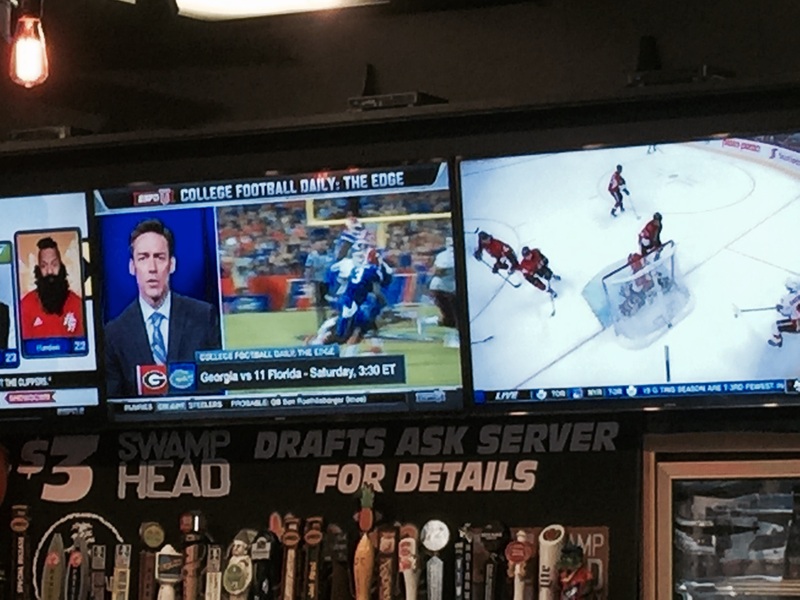 Gainesville is hopping with the students back to school and the weekends with Gator home games are jam packed. 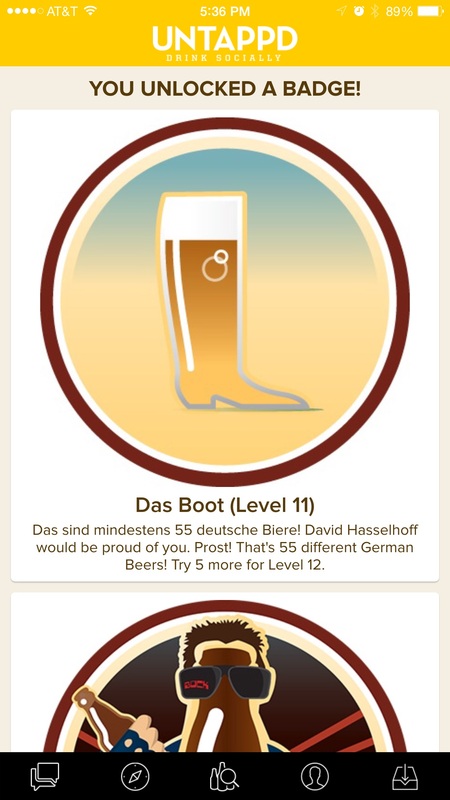 This also is the time of year that begins a lot of traditional beerfests (Oktoberfest, etc.) as well as Tap Takeovers. My beer sampling this last weekend actually started on Thursday after I finished work. I stopped at Lucky’s Market and found out they were having a beer sampling featuring Oskar Blues Brewing (Longmont, CO). I didn’t know that at first and followed my normal routine of stopping at the draft counter and supping a pint before I go grocery shopping. After I finished my pint of Oskar Blues Pinner Throwback IPA (a nice hoppy beer) I wandered back toward the beer and wine section and was informed about the beer samples being offered. There were two young ladies there pouring free samples of the beers being featured at Lucky’s by Oskar Blues. I will tell you now that I have already had Dale’s Pale Ale and Little Yella Pils by them before and found them both enjoyable. So with the nice IPA I had sampled at the beer counter I was looking forward to the others. I asked for the G’Knight, an Imperial Red IPA first. Wow! 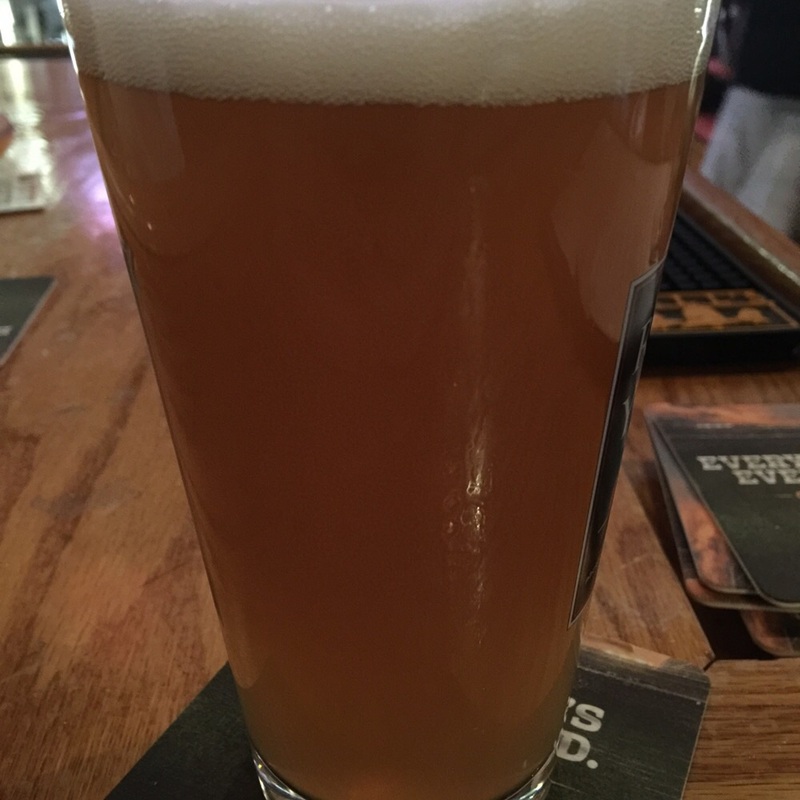 !… This was a very good IPA. Nice and smooth with a hoppy flavor it is probably one of the best Imperial Red’s I have had to date. The next sample was Old Chub, a scotch ale. It was good but not as good as the G’Knight. 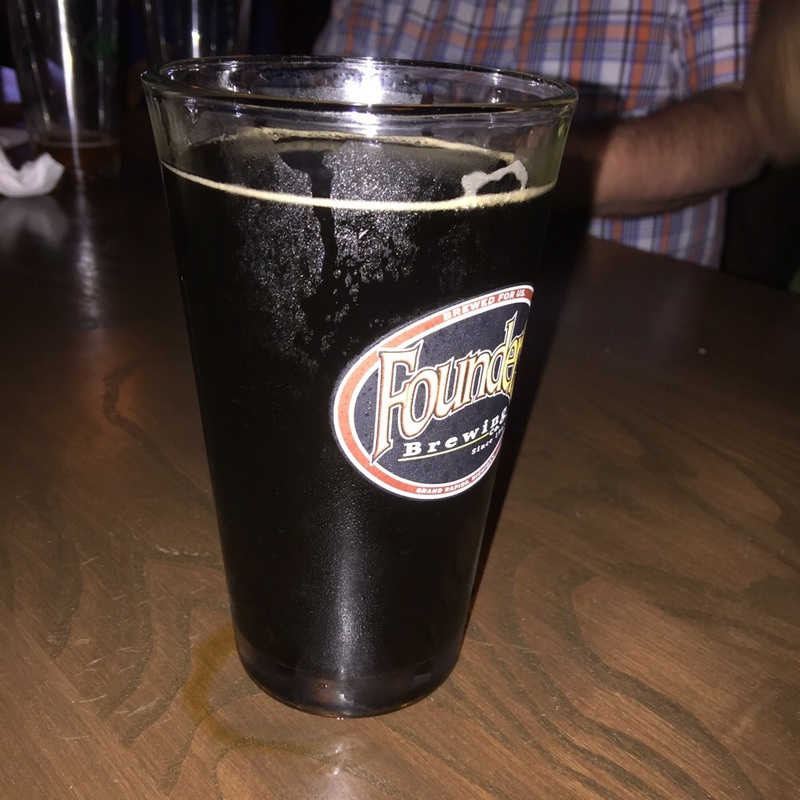 I followed that up with the Ten FIDY, an American Imperial Stout, which was really smooth tasting. I liked it almost as much as the Imperial Red. 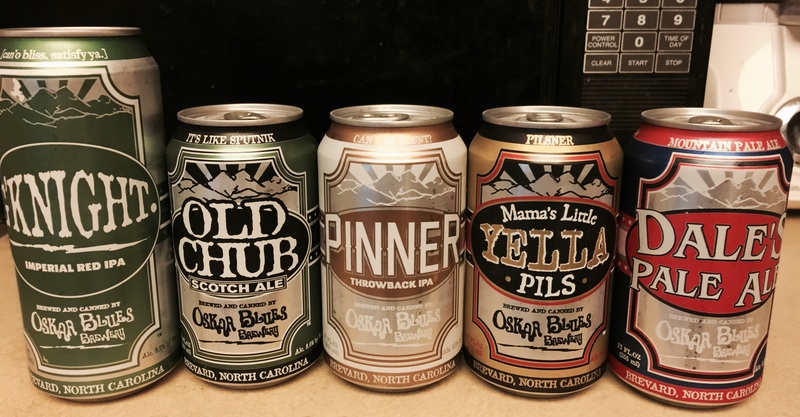 To drive home the point of much I liked these, I grabbed a 4 pack of the Imperial Red and a mixed 12 containing the Pinner Throwback, Dale’s Pale Ale, Little Yella Pils and Old Chub. The young ladies serving samples tried talking me into wearing some swag they were giving away. 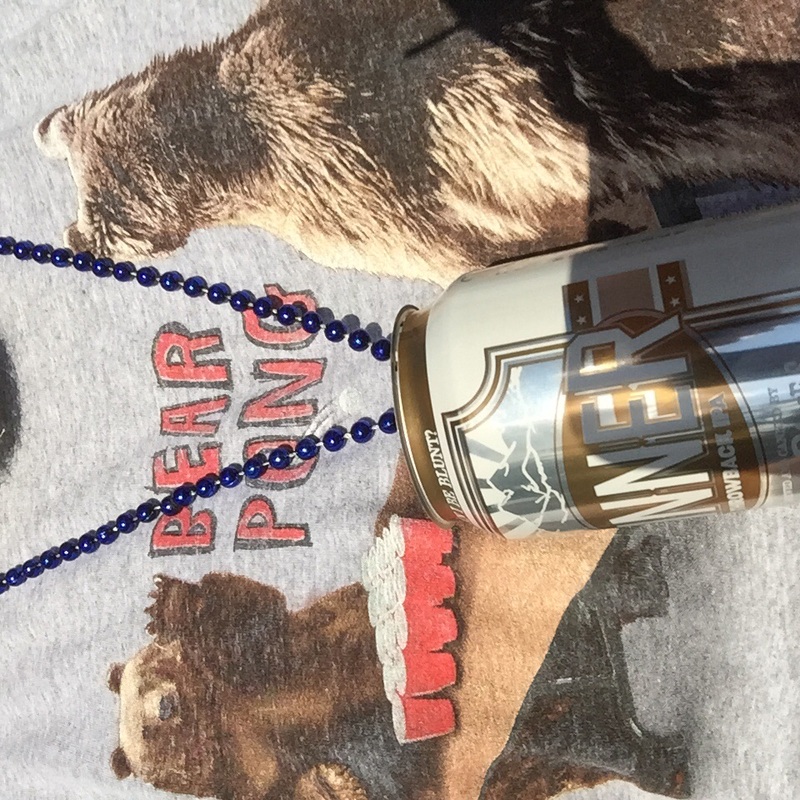 It was basically an empty Pinner can fastened to a necklace of shiny plastic beads. I’m a 50 years old (+) man! Why would I wear such a ridiculous thing?! Because two pretty young ladies serving beer samples asked me to. Some of us had already discussed a general plan for the evening. 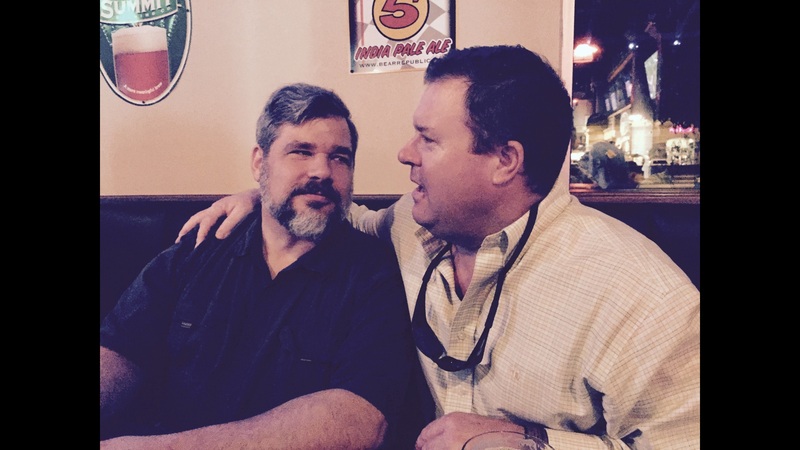 We knew that both Gainesville House of Beer and BrassTap of Gainesville were having events we wanted to attend. So we decided to meet at House of Beer first and begin our Friday Happy Hour there. Why not start from a familiar launch pad. If you’ve been reading this blog then you know that I go there frequently. If you haven’t then shame on you, and get yourself down there. By the time I got home from work, changed the dog and walked my clothes, cleaned up and made my way to HOB it was approaching 5PM. Everyone else coming that night was already there so I had some catching up to do. Rowdy and the Cooler made it. The Doctor was probably the first to arrive as he usually is, and Maestro had brought the Blarneyman with him. I said my howdy-do’s and decided to get my first beer of the evening. 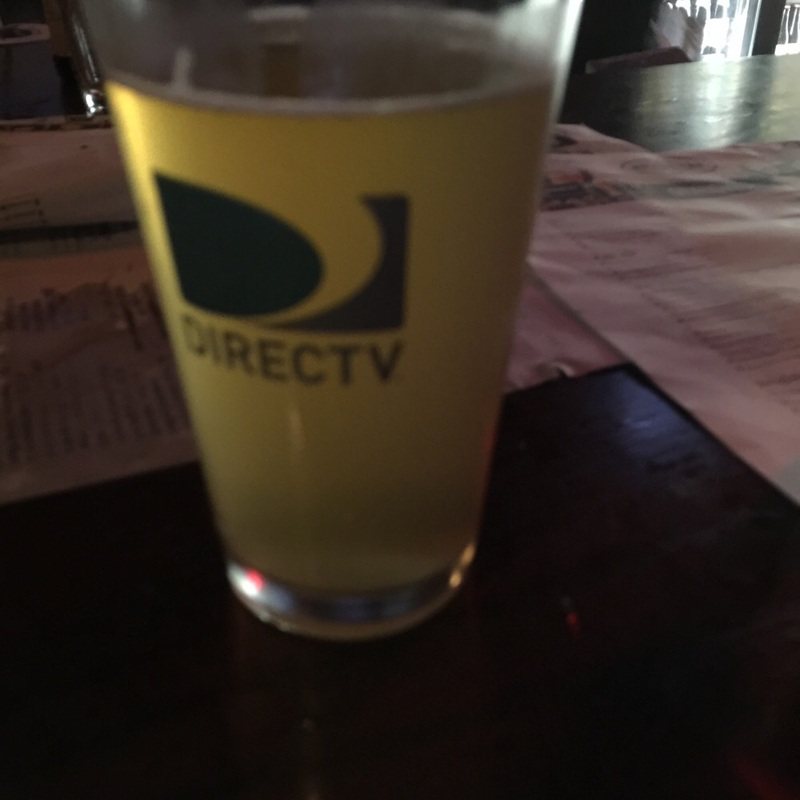 I wanted to start slow so I went with a very nice German lager, Ayinger Brauweisse. I also bought a pint for the Blarneyman (I don’t remember what he was drinking) as I had said I would before he came (Rule #67 of the Art of Beer (an upcoming series of Blogs) – “Never promise a pint to a man and leave him unfulfilled, as you create a thirsty enemy and create bad beer karma for yourself.”) Besides, the Blarneyman was kind enough to bring me a gift so I had to reciprocate. The back of a Guinness Tee that Blarneyman gave me. I also went outside to the truck real quick and retrieved the swag the girls at Lucky’s asked to wear the day before and brought it in for Rowdy as she loves that stuff. And so as the Philosphying began, we began talking with and amongst ourselves, you would here an occasional one liner that has background to it but the innuendo is much more interesting. For instance… “If you want to get a hotel and do something on Sunday…”, or there’s “We can do something Saturday too…” and of course there was “And the Doctor will be available…” and of course the infamous “…and he likes it sticky.” Have fun filling in the blanks yourself. The Blarneyman took the time to introduce himself and the rest of us to a fixture at HOB, known simply among our group as Da Fadder. From what I know of him, this priestly fellow works at one of the local hospitals. Haven’t taken much time to do more than say hello to him occasionally but I have wanted to drag him into some conversations for no other reason than to get his take on different topics depending on the subject matter at hand. After a couple of rounds we decided to go refuel with solid fuel at Winghouse, then we would continue on to BrassTap. Rowdy and the Cooler headed home as they were leaving early for an out of town trip. I followed the Maestro to his house where he dropped his car off and he, the Blarneyman and I continued on and met the Doctor at the parking lot near BrassTap. From there we walked just down the street to Winghouse. The Blarneyman hadn’t been there before and the Doctor and I were old hats at the place so we were happy to introduce him to it. If you read this blog then you’ve read my previous review of it. If you haven’t read it then do so, or better yet head there yourself. 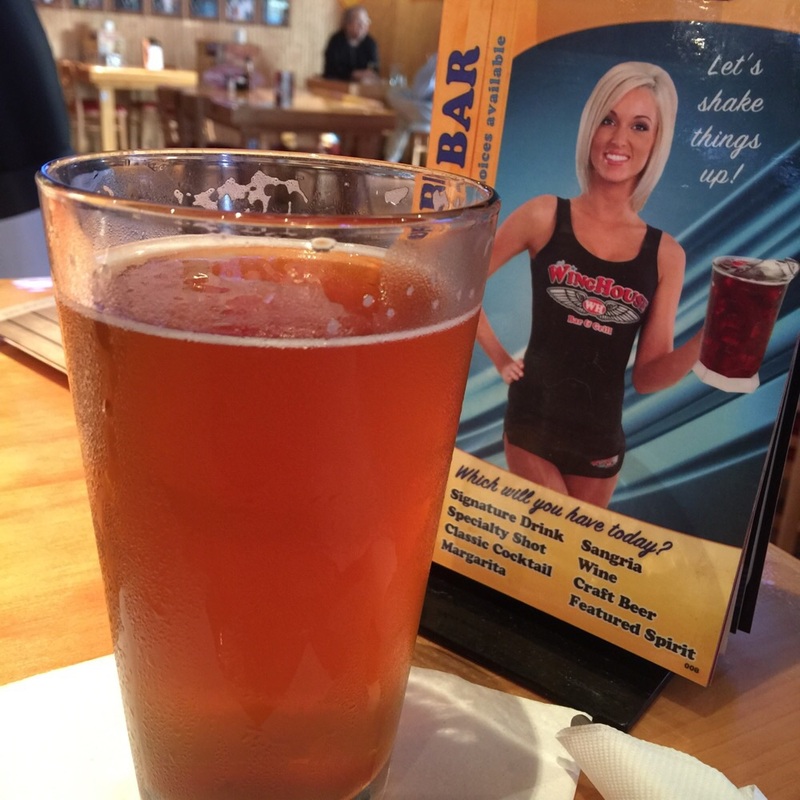 The beer is good the wings are hot and the girls are both. 😉 One of my former Air Force buddies asked if this was Hooters South, which is funny because Hooters started in Florida in Clearwater and you can’t get a whole lot further south than that. We ordered the Swamp Head Stump Knocker for drinking and I ordered the Sampler platter for my meal. This has two thin hamburger sliders, five wings and five boneless wings with whatever sauces you like (for me that is the Garlic Parmesan and Extreme mixed). We enjoyed the meal, the scenery and the sports on the various TVs. And when we finished we walked down the street to BrassTap. 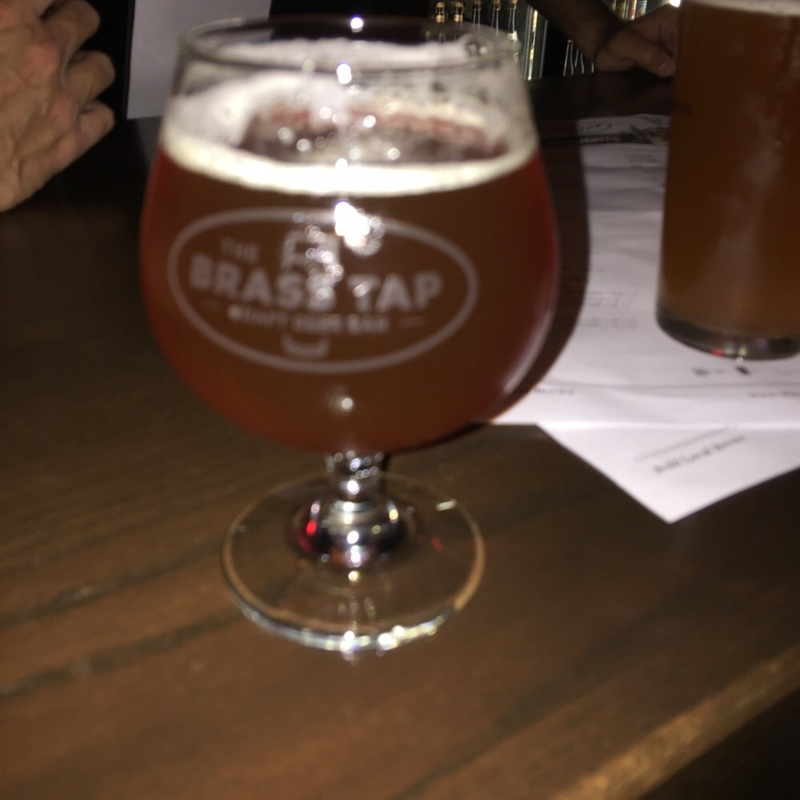 If you’ve been reading this blog, you should have also seen one or two reviews involving the BrassTap. If you haven’t read them, again… SHAME ON YOU! …and get yourself down there! I can tell you honestly that it was SRO that evening (for you younger kids out there SRO is old guy talk for Standing Room Only). Luckily the folks there know us pretty well and the Doctor was able to find a spot at the bar where we could put our orders in. Did I mention that this was a Swamp Head Tap Takeover that night? No, I guess I didn’t. Of the 60 taps they have, 35 of them were all different Swamp Head brews. And they had a great selection to choose from. Allen and Brad and the rest of the folks there had their hands full but they were getting it done. My first beer there was also my first Pumpkin beer of the year, Swamp Head’s Pumpkin Spice Latte, which I thought was pretty good and reminded me of pumpkin pie. After a bit I switched to a Swamp Head Strawberry Vanilla Cream Ale. While we were supping our first round of suds, I saw the band starting to set up. I remember seeing something about an Irish band playing, and I didn’t recognize one of the instruments so I walked up and asked what it was. The red-haired lass who responded, who I would later find out was named Victoria Van Arnam, told me it was a dulcimer, which I then recognized as I was close enough to see it better. What I had never seen before were the tiny and delicate hammers she would later use to play the instrument. 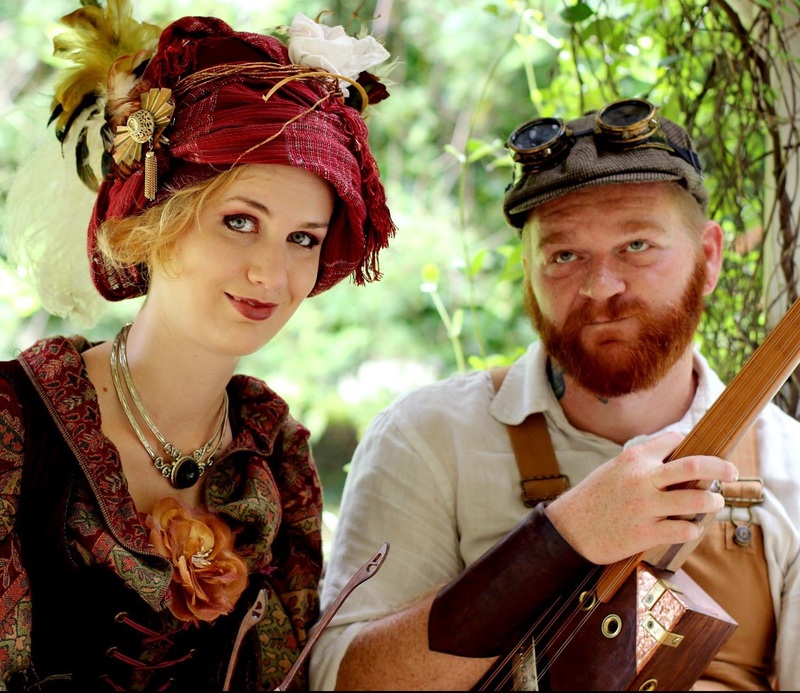 The gent who played with her, Jason Catron, played a variety of instruments and provided the vocals. They played a variety of classic Irish folk tunes and it wasn’t long before a lot of patrons were joining them. 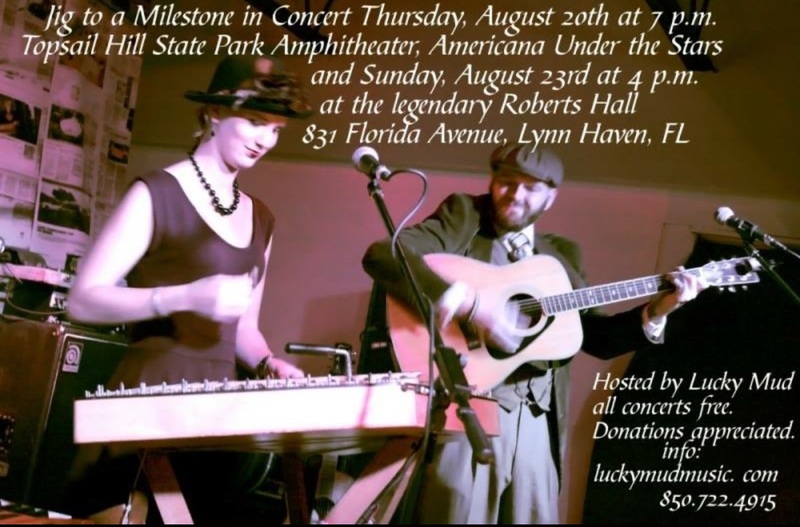 The name of their duo is Jig to a Milestone and if you ever have the opportunity to see them I highly recommend doing so. Shortly after I finished talking to the musicians, one our merry band spotted an open table which we quickly snagged. We ordered another round of beers and began Philosophying in earnest. This was also refered to throughout the evening as” networking” and “building bridges”. I prefer “Philosophying” but to each his or her own. I also know that it wasn’t long before we were joining in with the musicians depending on the Irish tune they were playing. 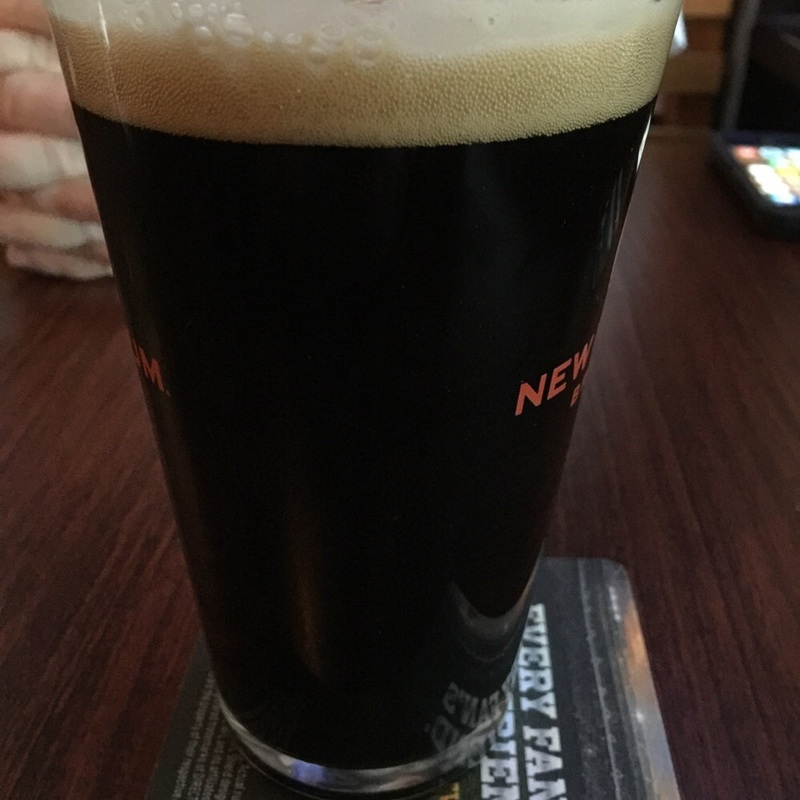 I finished the evening with a nice smooth stout that I let the bartender pick out for me. Luckily he knows what he is doing. All in all it was an excellent way to ring in the fall and start a weekend. I highly recommend it.